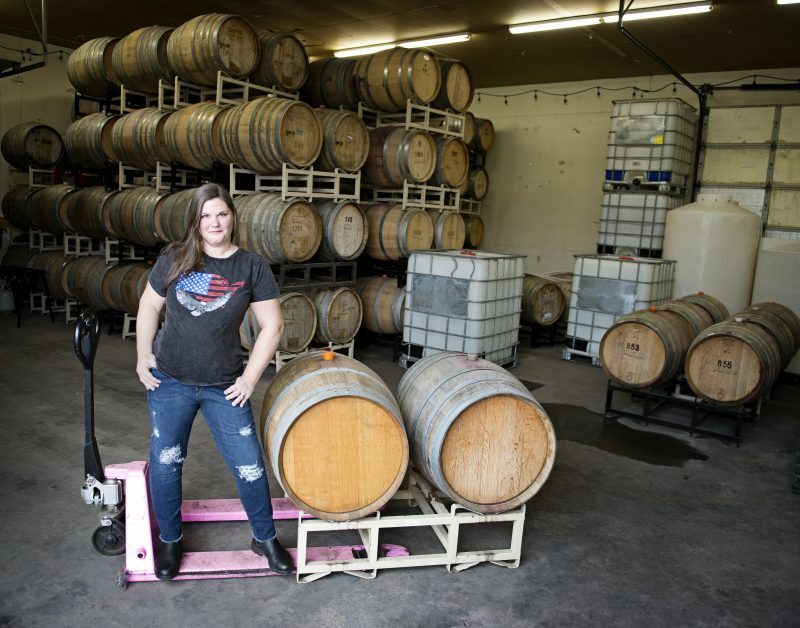 Sparked by the results of the 2016 Election, Meg Murray decided to create Nasty Woman Wines, an unapologetic and high quality wine brand celebrating impressive women —and even raising funds to get more females to the table. Her Pantsuit Pinot Noir has attention-grabbing flavors of rose, earth and cherry. Peace Water Winery. Photo courtesy of Peace Water Winery. In Indiana, charity-based Peace Water Winery focuses on wine that gives back. In fact, they donate 50% of profits from tastings and bottles to charity. Best of all, patrons choose the charity of their choice by placing a token in the affiliated basket. The charities change year round, and the hope is the donation effort that involves their customers will have a ripple effect. A few charities to choose from currently include Peyton Manning’s Children’s Hospital, the local soup kitchen and Art with a Heart, which serves at-risk children. Recommended: the “Wishful White,” made with grapes grown in Napa Valley. The wine showcases flavors of honeysuckle, butterscotch and caramel. Workers at Gorgona Costa Toscana IGT. Photo courtesy of Frescobaldi Toscana. It’s not just Americans who are crafting wine that gives back. Inmates on Tuscany’s island penal colony produce “Gorgona Costa Toscana IGT” wine as an empowerment project. In 2012, project developer and President of Frescobaldi Toscana recognized that recently released inmates struggle to find work. Wanting to find solutions to Italy’s recidivism rates, he established this winemaking program to give inmates tangible skills, preparing them for re-entry into society once released. Though the program, inmates earn a wage to help support their families — about 2/3 of what they’d earn outside of prison. Additionally, having a job helps inmates feel a sense of pride in their work. 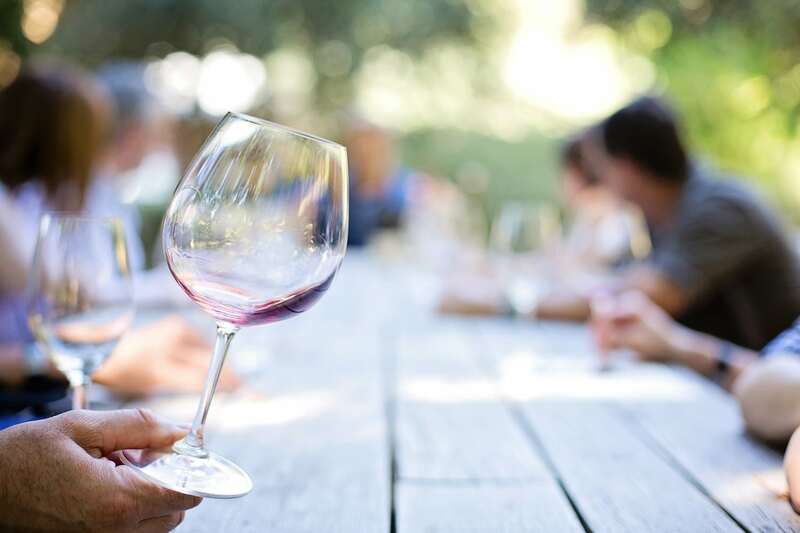 Since the project began, three released inmates have secured jobs working at wineries throughout Italy, one of which was hired at a Frescobaldi wine estate. A unique blend of Vermentino and Ansonica grapes, “Gorgona” has delicate scents of Mediterranean rosemary and thyme accented by flavors of chamomile, banana and peach. Do it for the Love Red. Photo courtesy of Ca’Momi. Ca’ Momi and the Do It For The Love Foundation partnered to create “Do it for the Love Red,” which funds a wish granting foundation providing hope and healing through music. All proceeds are donated to this nonprofit, allowing those living with life-threatening illnesses, children with severe challenges and wounded veterans to attend live concerts. This silky blend features syrah, cabernet sauvignon, petit verdot and zinfandel. It showcases notes of black currant, plum, plum, roasted nuts and eucalyptus. Sensible Wines. Photo courtesy of Williamsburg Winery. 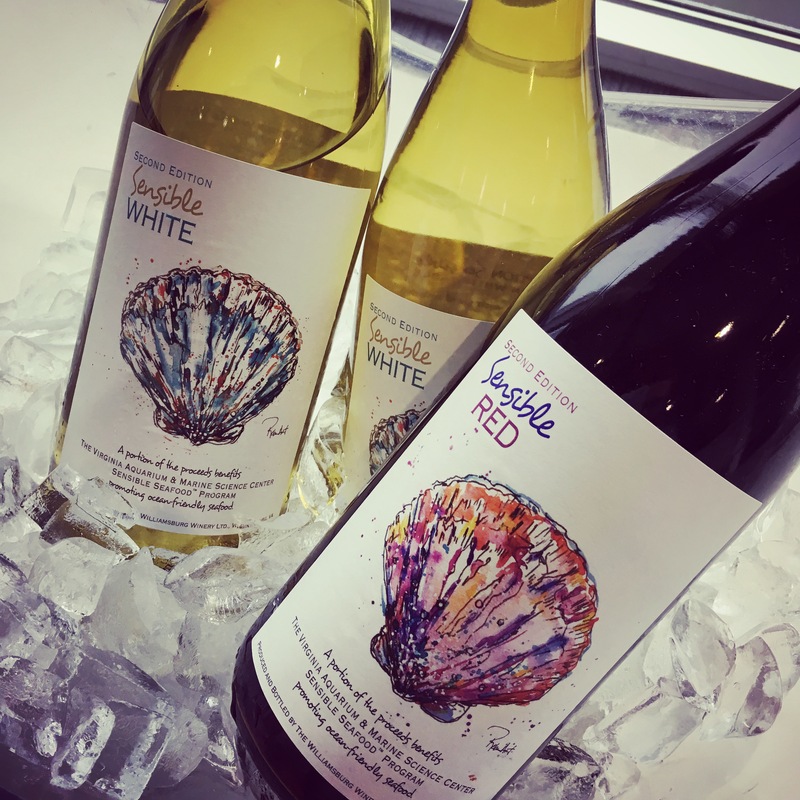 The Virginia Aquarium & Marine Science Center joined forces with Williamsburg Winery to create a “Sensible Red” and “Sensible White,” designed to pair well with local seafood offerings. For a wine that gives back twist, a portion of proceeds go toward funding the Sensible Seafood Program. The Sensible Seafood Program promotes ocean-friendly seafood that comes from local and sustainable sources. These are not over-fished or harvested in a way that destroys the environment. This program also partners with local grocery stores, fishmongers and restaurants to identify and promote best alternatives for consumers. The Second Edition of their stainless steel-aged “Sensible White” is fresh and fruit-forward with notes of green apple, pear and citrus. 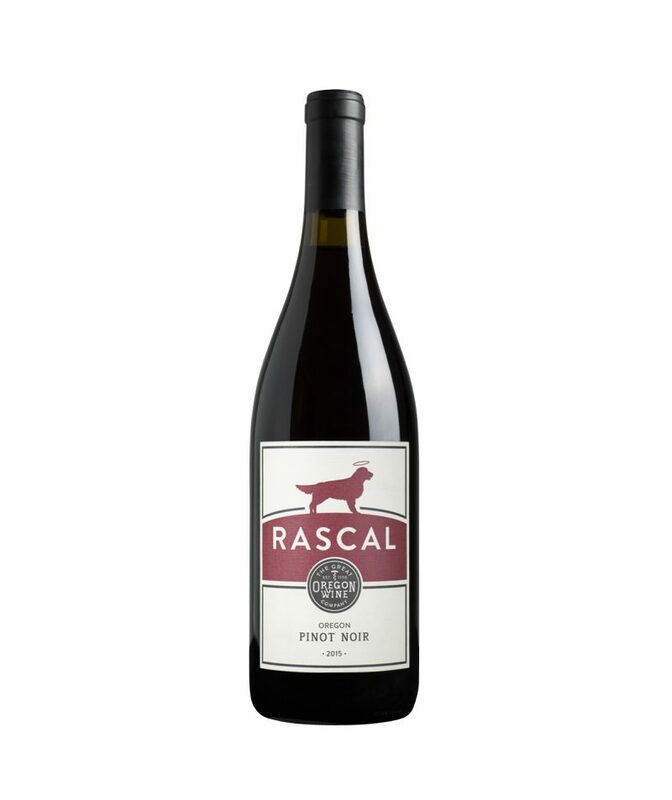 Rascal Pinot Noir. Photo courtesy of Rascal Wine. Help stop animal cruelty across America with Great Oregon Wine Company’s best-selling Golden Retriever-inspired “Rascal Wine.” This wine that gives back benefits the Humane Society of the United States’ Animal Rescue team. The goal: that all animals will one day be treated with the love and respect they deserve. Their pinot noir is an Oregon classic with bold fruity juicy flavors against a backdrop of oak and a hint of dark cherry. 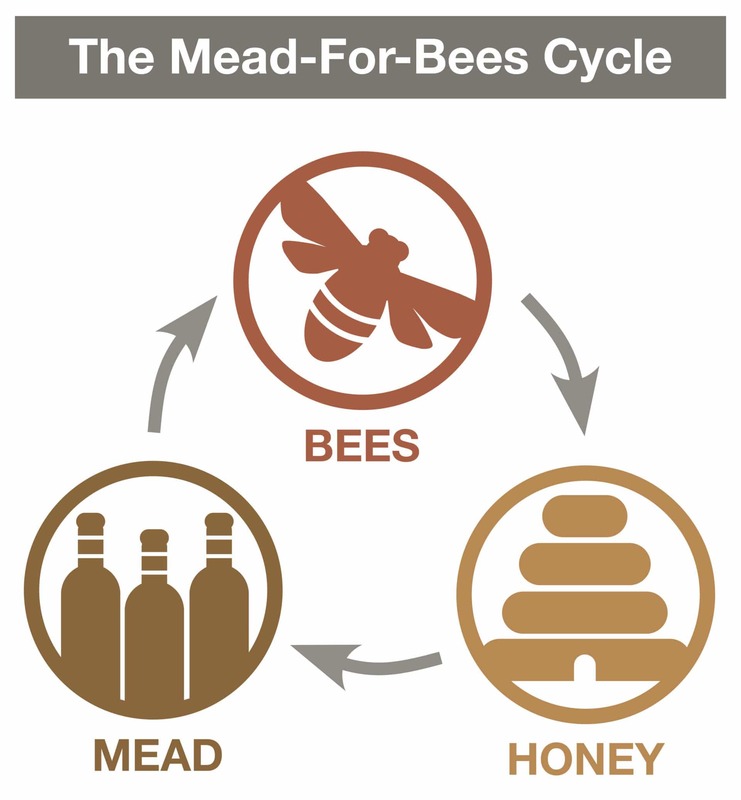 Mead for Bees. Photo courtesy of Kingsview Meadery. Mead — or honey wine — relies on bees to make the product; but KingView Mead is so passionate about bees’ vital role in the environment, they donate a portion of profits to local beekeepers. That even goes for when the beekeeper’s honey doesn’t go into the beverage. KingView Mead wants the local beekeeping community to grow. This helps keep food costs lower and increases the biodiversity in forests, meadows, waterways — basically the entire planet. Their Mead-For-Bees program donates 10% of all sales to the direct purchase of new boxes, frames and bee colonies for local beekeepers and apiaries. These are then given away via sweepstakes drawings. Every $1 donated helps to release 150 bees into the world. For a delicious wine that gives back try KingView’s “Cranberry Maple Mead” featuring fermented honey, cranberries and local maple syrup warmed with cinnamon and orange peel. Cambria Seeds of Change Wine. Photo courtesy of Cambria. 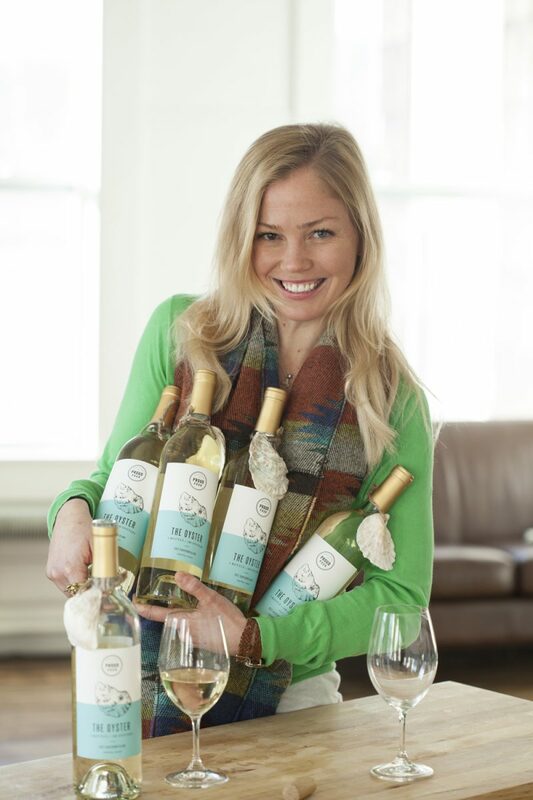 Cambria is a female, family-owned winery working to encourage women to change the world. 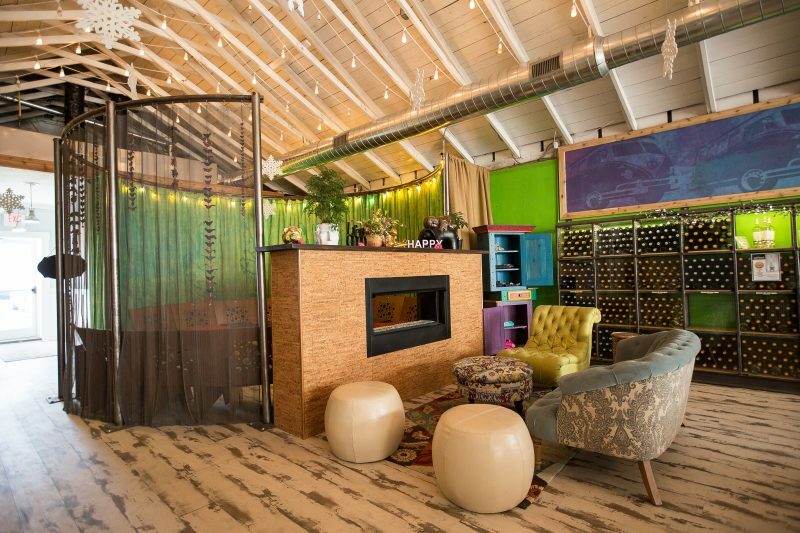 The winery founded a Seeds of Empowerment program in 2014 to create positive waves of change. Within the program, a $100,000 annual grant recognizes remarkable women leaders and non-profit organizations, including Vital Voices — an international organization that focuses on emerging women leaders. Cambria has created two wines to celebrate the program. Additionally Julia — one of the owners — is an artist, so her watercolors depict inspirational women on the labels. For example, the “Cambria Clone 4 Chardonnay” features entrepreneur Dr. Victoria Kisyombe, who’s worked to redesign the traditional model of micro-finance to better serve 200,000 women in Tanzania. This wine is bright and fruity with citrus, apple and peach flavors. 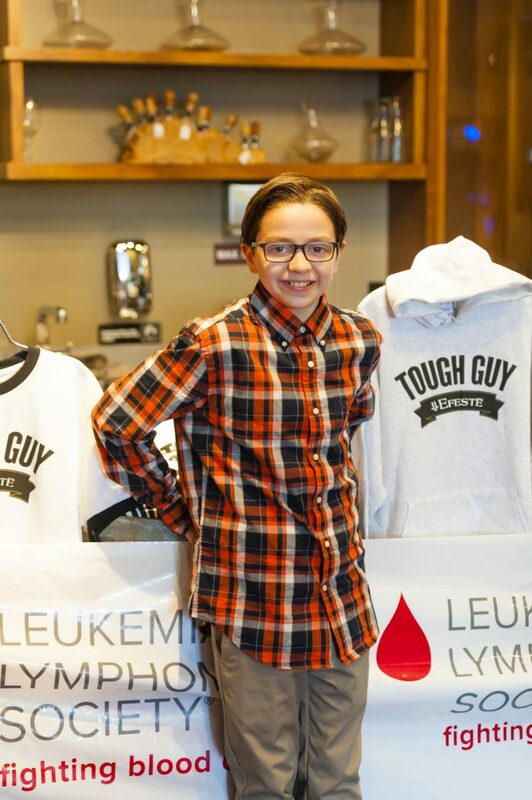 Tough Guy wine at ‘Rockin Sips’ fundraiser are included, which also donates proceeds to the Leukemia and Lymphoma Society. Photo courtesy of Tough Guy wine. In 2007, the five-year-old son of EFESTĒ’s owners was diagnosed with A.L.L. Leukemia. Inspired by his strength of spirit and personality, EFESTĒ made a 2012 “Tough Guy Wine with a Cause,” where all proceeds benefit the Leukemia and Lymphoma Society. This powerful wine that gives back is made with 100% Klipsun fruit. It uses native fermentation to open up aromas of red currant, dark cherry, black licorice, marjoram, dates and black raspberry. The palate is full, lush and has the concentration and structure to age for several years. What are your top pick for wine that gives back? Please share in the comments below! Author’s note: This is an original post that first appeared here on Epicure & Culture. I LOVE this list! Gifts that give back are some of my favorite items as well! Wonderful! It is awesome isn’t it? As if I needed another reason to drink wine! I will look in our local liquor store for any one of these, but I doubt if they have found their way to Soldotna, Alaska. Perhaps when I am in Denver next fall… Thanks for the information, it’s always great to learn what people are doing. So glad you enjoyed I Marilyn! I thought it was fabulous and I love wine too! Oh I didn’t know. I’m so sorry to hear you had to go through that. Both my parents are cancer survivors and it is a long road. So happy you are finished! I’m sure you feel so good to have it done and yes time to have some wine that also supports the cause. Did you write at all about your experience? I know it is so personal. I’ve been following another woman who just got the all clear and I cried at her good news. This is fantastic on so many levels. I love a good glass of wine with dinner and/or post dinner. To know that I might be helping good causes whilst sipping? Priceless. 🙂 Thanks for compiling this list! Ein interessanter informativer Bericht über Weine. Prosit ! What a wonderful post! Thanks for the information and inspiration! Happy Easter! Thank you for this enlightening post. I had no idea there was such a thing. I’m not sure how many will make their way out here but I could certainly do some googling… food for thought most certainly. You’re welcome Di! I wonder if there are any Australian wines that give back? I bet there are! Aren’t these great Miriam? I love wine too! Very interesting post – great to hear about the wines which make the world a better place. If you will ever consider a sequel, I can recommend at least one wine I learnt about today – Senders winery from California. The owner, Dr. Senders, donates 100% of the profits to cleft lip and palate repair surgeries and surgical trips and he flies around the world to perform the surgeries for those who need them. Inspiring. https://senderswines.com/ if you want to read more. Wow this is fabulous! Thank you so much for leaving this in the comments. I will definitely check them out. I’m always looking for more products that give back. Thanks again! Great post, I am going to share on my blog. We all need to realize if we give more we all receive more. Bless you! SO glad you enjoyed the post! I often try to feature different gifts that give back on my blog. Stay tuned!